Tintswalo Manor House – an ideal venue for smaller groups travelling or families with children! Tintswalo Manor House is located in the Mpumalanga Province of South Africa on the private Manyeleti Reserve concession – a lush, exclusive lodge nestled between theTimbavati Private Reserve to the north, Sabi Sand Reserve to the south, and open to the Greater Kruger National Park on its fenceless eastern boundary. Why the Manyeleti Game Reserve? This private game reserve is one of the smallest private game reserves in the greater Kruger National Park, hosting only a handful of lodges. As the Manyeleti Game Reserve is not over run by private Game Lodges, there are very few safari vehicles in this area – giving you a true and authentic safari experience and allowing travellers to feel that they are in the African Bush…with time to relax and just become one with nature. From Game Viewing, game walks and star gazing – this must remain one of the most perfect places on earth. The Manor house is situated within the Tintswalo Concession. Enjoy the luxury and exclusivity of this large thatched Manor, accommodating a maximum of 10 guests. A minimum of 6 guests are required to qualify for the special rate – making the Manor House an ideal safari get-a-way for families or small groups. The sparking blue swimming pool and shaded patio are for your enjoyment alone, and enjoy dinners under the African Sky in the outside traditional boma. As the Manor House is exclusively yours during your stay, each day remains flexible and can be designed around your family or group requirements. 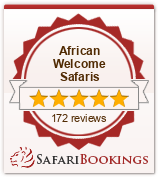 A dedicated safari vehicle, guide and tracker are allocated to you for the duration of your stay. 3 en-suite air-conditioned twin or double bedrooms are situated downstairs at the Manor, one of these bedrooms having an optional child bedroom leading off it. The main double en-suite bedroom, with exceptional views of the bush, is situated upstairs. Your meals can be enjoyed either on the patio, or in the open air boma – all remains flexible! Tintswalo’s schedule is arranged around you and a typical day could begin with early morning game viewing, breakfast in the bush, more game-viewing, an al fresco lunch or high tea and leisure time at the lodge. You can browse around our small but exclusive library of rare books or relax completely in our Vital Source Spa. Visits to surrounding areas and attractions can be arranged at an additional charge. Afternoon game-viewing follows with a sunset sun downer stop, thereafter, your day will be completed with a superb candlelit dinner. We go out of our way to allow guests to dine privately or with other guests and never in the same place! Game viewing at Tintswalo takes place on foot or in individually seated open game vehicles. The vehicles are equipped with spot lights for night viewing, radios for communication, mosquito repellent, ponchos for wet weather and individual blankets for the night chill. A canvas bag containing binoculars, reference books and treats is also placed on each seat for your use. Walks in the reserve are guided through the ever changing environment of the African bush. This experience allows the guest the opportunity to come away with information on wildlife, nature enlightenment and insight into the local Shangaan traditions ~ this is only obtainable with an ‘on the ground’ experience. All our experienced & professional guides are accredited and they are always accompanied by skilled trackers who know their surrounding well. Children are ideally accommodated at Manor house in the special family section. This includes one Main Suite, a TV lounge and a children’s room next door – sharing a bathroom. We are also able to add an extra bed into the Upstairs Suite. The Manor House is fenced, so children are able to play freely in the garden. The swimming pool is also protected by a net. Presidential is better suited to older children. There is a TV, playstation and swimming pool. We are also able to add an extra bed in Presidential for an additional child. Presidential has its own private chef, who is adept at preparing any meal request for younger (and often fussier) palates. Does this Safari Lodge not suit you? Please browse through other Kruger National Park Lodge options situated in the Manyeleti Area, Sabi Sands or Timbavati Game Reserves. For a complete Southern Africa experience, a safari in Botswana or a couple of days in Victoria Falls is well worth considering! Contact one of our safari planners to design you Kruger National Park safari.